One of the ‘Wing Birds’ at work in the Birdsnest Canberra pop-up. Photo: Birdsnest Facebook. 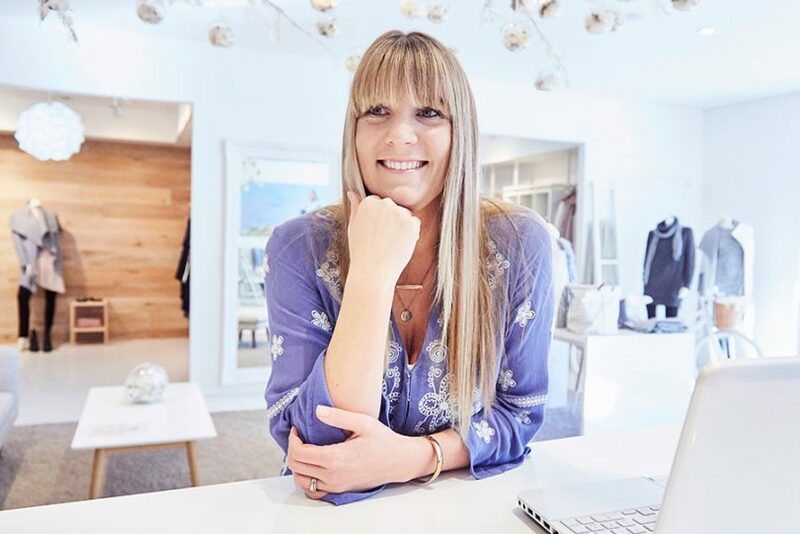 Cooma fashion house Birdsnest is swooning on the back of their Canberra launch last week, building momentum for the online retailers next big thing. ‘Big Bird’ Jane Cay says the response from Canberrans has been enormous. 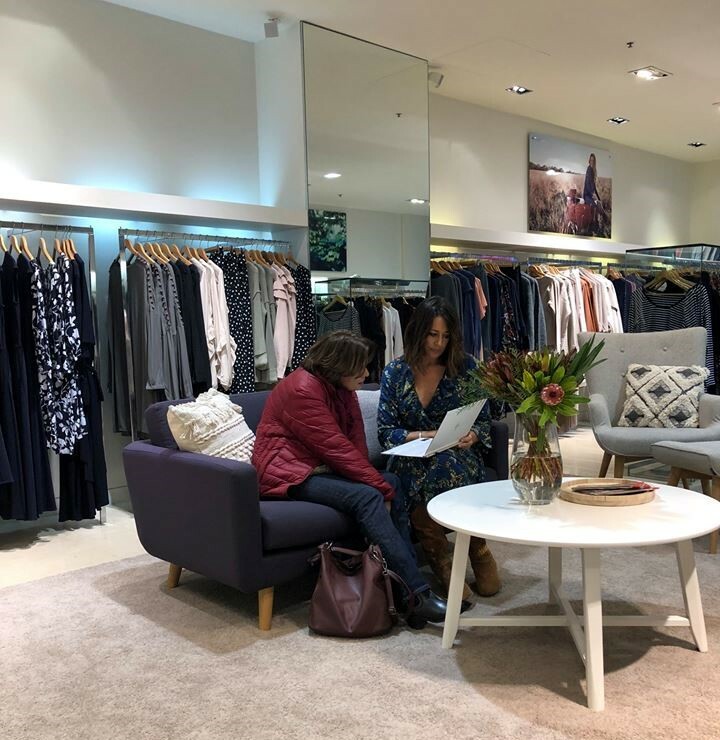 “Canberra is very close to our heart, we have great support from the ACT through our online store and customers who drive to our outlet in Cooma,” Ms Cay says. 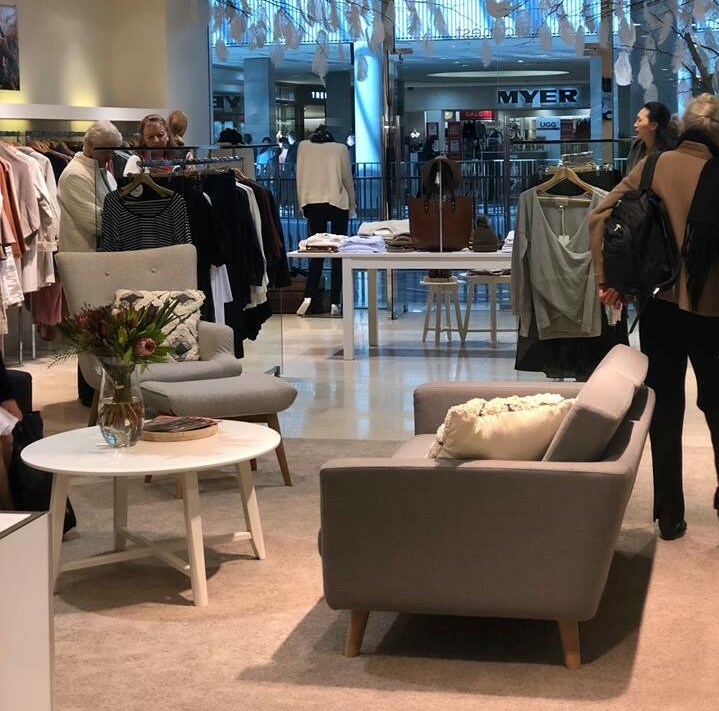 The pop-up ‘nest’ is on level 1 of the Canberra Centre opposite Myer and Country Road at shop CF09, and will stay in place until December. Ms Cay says it was an opportunity that came out of the blue. “We love to be spontaneous, Canberra Centre knocked on our door and this team made the impossible possible,” she says. Birdsnest on Level 1 of the Canberra Centre opposite Myer. Photo: Birdsnest Facebook. Turning the pop-up into a permanent Canberra store is not in the current Birdsnest business plan, “I never wanted to have lots of stores because how can you look after a team you can’t touch and access?” Ms Cay says. 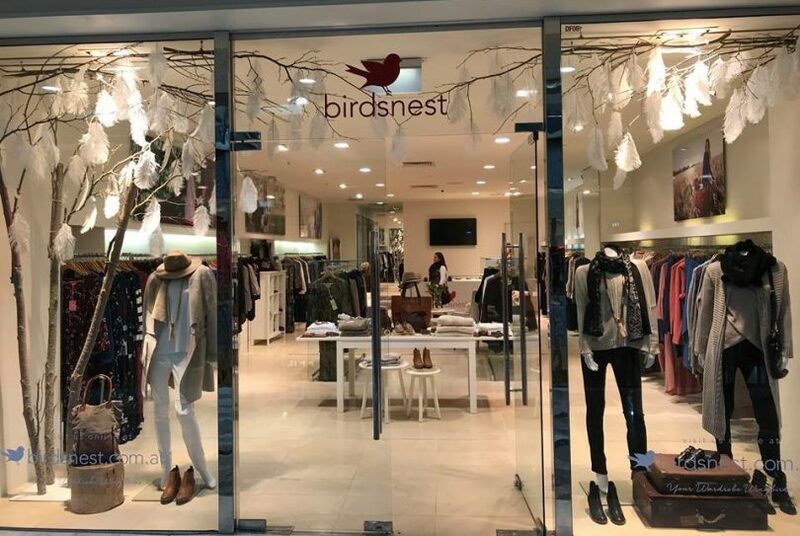 Canberra isn’t the only big community about to get a visit from this regional retailer, Birdsnest is partnering with The Australian Women’s Weekly for ‘High Tea Party‘ fashion parades in every capital city this year. But that’s not the next big thing for Birdsnest. “We are doing lots of investment locally in Cooma, we have just bought the Hain Centre, the complex where our current Cooma outlet is based,” Ms Cay says. “The Nest” on Sharp Street Cooma. Photo: Ian Campbell. Cooma has not lost a tourist attraction with the new Birdnest pop-up store, Jane Cay is creating an even bigger reason for people to ‘come on down’ the Monaro Highway. “Being in Canberra is about telling more people about us and Cooma,” Ms Cay says. ‘Big Bird’ says part of the new Cooma plan includes a cafe but ideas are still developing. “We are up to number 17 of the master plan,” she laughs. “I am not sure where we are going to finish but we are certainly hoping to get started on the renovation next year. But wait there is more, this Cooma based business that will reportedly turn over $30 million this year is launching a new line of clothing. “The big movement in the business over the last four or five years is the fact that we have started to design and manufacture our own garments,” Ms Cay says. “To create something from scratch and be able to control the whole supply chain is a huge passion. About 40% of the clothing Birdsnest makes is made in Sydney, the remainder is spread between China and India. “It is so important for us and our customers that our products are ethically created,” Ms Cay says. “Big Bird” Jane Cay. Photo: Supplied. The look of the new label is driven by customers, Ms Cay confesses she is not the person to ask for fashion advice. “I use the ‘wing birds’ to help me, I am not in charge of the fashion department,” she laughs. “Our customer is driven by what makes her feel good and what suits her, what makes her comfortable. Keep an eye out for Jane Cay in the Canberra pop-up, the city’s proximity to the Cooma nest has been central to the Birdsnest‘s success. “Canberra is close to my heart, strategically for the overall business Canberra has been really important, the fact that we can tap into that postal network so that our parcels leave Cooma at 4 o’clock in the afternoon and catch all the planes, buses and trucks out of the capital is really important,” she says. “Being in Canberra is about telling more people about us and Cooma.” – Jane Cay. Photo: Birdsnest Facebook. One of the regular tours of back-end operations at Birdsnest HQ in Cooma is a favourite past-time of husbands, boyfriends, and sons. You leave with a sense of the attitude that drives this regional business forward and of the spirit of the 140 people who work there. “Innovate or die, that’s one of our mottos,” Ms Cay says. “This is a lot more than the pretty store you see at the front.